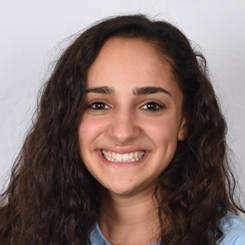 Nomi began coaching at Gold Star in the summer of 2016, but has been a student at GSG since she was four years old. Nomi moved through our Mini Star and Recreational levels, onto our Compulsory Girls Artistic Team and our Optional Xcel Team. She has her CPR, First Aid, and USA Gymnastics Safety Certifications, plus as unbelievably as it sounds she has ridden on a camel.